Music sheet for A Bird In A Gilded Cage words by Arthur J. Lamb, music by Harry Von Tilzer, published by B. Feldman & Co., ca. 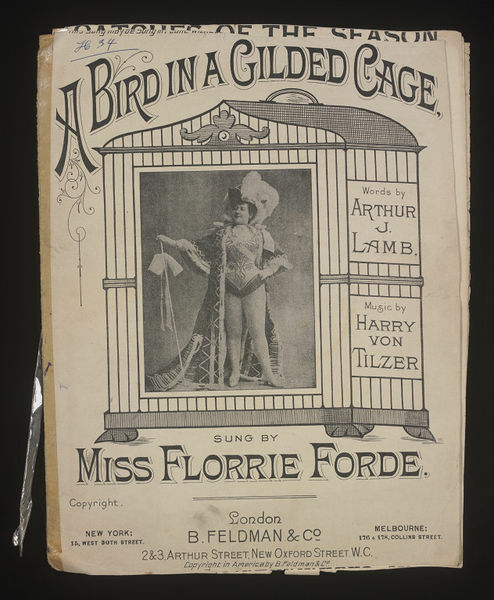 1900. 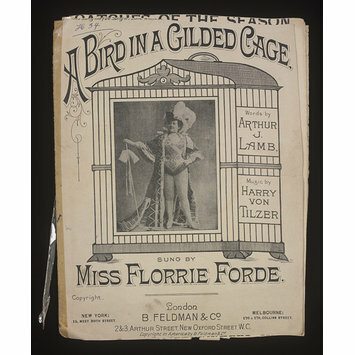 Music sheet for A Bird In A Gilded Cage with a photograph of the music hall performer Florrie Forde in pantomime Principal Boy costume, standing in a bird cage.